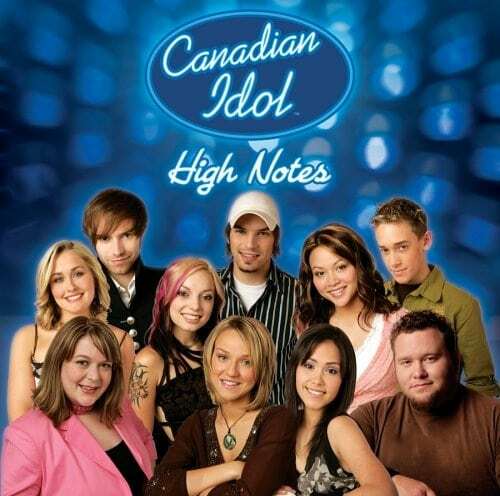 1 Who is Melissa O’Neil from Canadian Idol? 6 What is Melissa O’Neil’s Net Worth? Who is Melissa O’Neil from Canadian Idol? Born Melissa Crystal O’Neil on the 12th of July 1988, in Calgary, Alberta Canada, this 29-year-old Caucasian female is a singer and an actress of Chinese and Irish descent, perhaps best known for being the winner of the third season of “Canadian Idol” in 2005. Other than that, she also has some discography and film and TV series appearances to her name. She has been active in the sometimes lucrative entertainment business since 2005. When the sun is out, the wall is right and @alexmallarijr gets snap happy. First of all, since her mother is of Chinese descent, she was born with an additional name that her grandfather gave her, as per tradition – Oh Seemun. Unlike most popular singers nowadays, Melissa didn’t start singing early = according to her mother when interviewed during “Canadian Idol” filming, ‘She only began singing a few years ago.’. As for her siblings, any information regarding this part of her childhood remains unknown. She attended Terry Fox Junior High School, and Lester B. Pearson High School for seniors afterwards. There is no record of college education, so it is supposed that she did not study for a degree. It is also unknown when she took an interest in developing her vocal capabilities, but showed a keen interest in stage life, as she was involved in various Calgary plays. Melissa’s name didn’t hit the public until February 2005, when she first auditioned during the third season of “Canadian Idol”, at which time she was employed at a daycare center. Even though she made it through to the top 100 fairly easily, she was barely showcased by the producers, which is a way of saying she isn’t particularly important. However, this changed when she made her Top 32 performance, specifically her cover of “Concrete Angel” by Martina McBride, which impressed the judges with the quality of her performance, and from this point on her name soared above the competition, and was overwhelmingly voted into the top 10, although in her first two weeks in the top 10, live voting didn’t favor her. She was among the last participants near the end, however, she stepped up and made it into the top two. Judge Zack Werner even went so far as to call her a ‘threat to win the whole thing’. Ultimately, it was her performance versus Rex Goudie from Newfoundland, and she claimed the win. Aside from the fact that she won her own album rights as well as a recording contract with Sony BMG, Melissa additionally achieved another feat, namely being the first female to have won a “Canadian Idol”, as well as the youngest winner in the history of the show, at the age of 17. Thanks to the contract she received as the main prize for winning “Canadian Idol” (and with that a personal congratulatory phone-call from Prime Minister Paul Martin), she immediately went on to record her first single, entitled “Alive”, released in October 2005, and debuting in the #1 spot on the Canadian singles chart, where it remained for four weeks, and ultimately receiving a four-time platinum certification by the CRIA. Furthermore, in November 2005 she released her first, self-titled album, which claimed the #16 spot on the Canadian albums chart. Later in the same year, the single from the album entitled “Let It Go” claimed the #7 spot on the Canadian singles charts. In February 2006, Melissa went on her first solo tour in North Bay, Ontario, under the name of the “Let It Go” tour. The third single from her album that stood out was “Speechless”, which reached #31 spot on the charts, then in March 2006, her album received a gold CRIA certification for 50,000 units sold, while her first single “Alive” got its own movie cover by Becki Ryan in “Flicka”. I met a really cool young lady today. Thanks for the mini hang, Violet! Your smile and energy shook up my day in the best way! ??? What is Melissa O’Neil’s Net Worth? Have you ever wondered how rich Melissa O’Neil is, as of early 2018? According to various reputable sources, it has been estimated that the current total of Melissa’s accumulated wealth is over $2 million, undoubtedly aided by her numerous successes in the music industry, while the largest contribution is undeniably her victory in “Canadian Idol”. As her career continues to flourish, this amount can be expected to increase. Concerning the physical specifications of the young singer, her vital statistics are 35-24-35, while her height has been estimated at 5 feet and 4 inches (1.63m) by authoritative sources. Her weight, however, remains unknown to the public until specified by the celebrity herself. I took this picture for my mom. This suit was heavy and difficult to move in. BUT. I felt so cool. As is the standard with today’s celebrities, Melissa seems to keep her social media accounts active and engaged with the audience, likely for the sake of increasing her popularity and thus net worth. First of all, her Facebook account seems to enjoy a steady 2,000 followers at the moment, while her Twitter boasts over 23,500, and her Instagram account is followed by over 20,000 fans at the moment.